We wanted to inspire the children to seize opportunities and face challenges that cross their path. 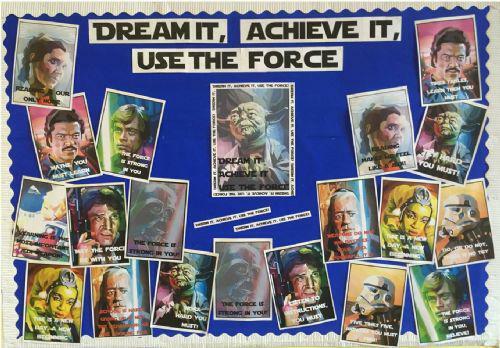 What better way than to use 'Star Wars' as a stimulus and create a new, meaningful motto! Dream it, Achieve it, Use the Force!